Small dogs 10 pounds or under are permitted for an additional 10.00 per night charge. 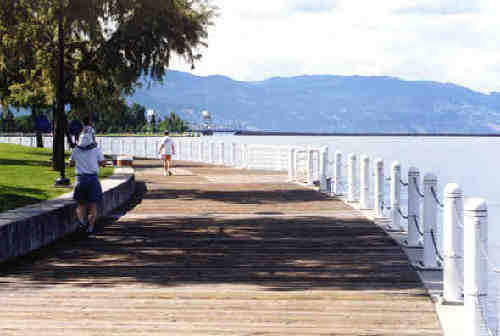 Boat Moorage fees are $50.00 per day. 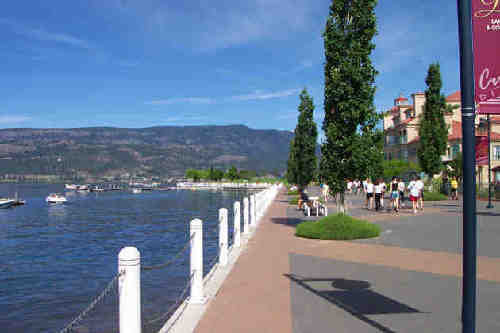 Contact KELOWNA / RESORT ACCOMMODATIONS to book your Town Home or Tower Unit luxury vacation or business getaway ... and enjoy all of the conveniences & amenities of Great hotel like accommodations we provide... to assure you of the best possible experience available during your visit to Kelowna and the Sunny Okanagan Valley of British Columbia!! 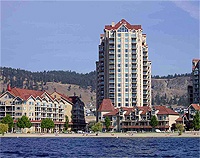 Sunset Waterfront Resort Is Kelowna's luxurious first class resort accommodation located in the heart of the breathtaking Okanagan Valley. 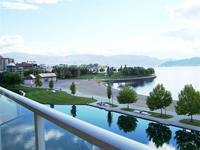 This luxury rewsort offers panoramic views of the city, Okanagan Lake, Discovery Bay... and being located right on the beach, there are miles of waterfront walkways that offer visitors and vacationers a relaxing park-like setting and enjoyment... literally at your doorstep. 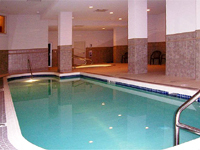 Of rental accommodations in one , or more of the Tower Condo Style or multi-level Townhouse Style Units of the complex, with all providing air conditioning and offering the best in luxury as well as optimum security and sound proofing as well as a beautiful views of the beach and the lagoon. All of the self-contained comforts & necessities of modern life... as you'd expect with the finest of holiday, business & vacation resorts, great hotels, or the best of motel lodgings.... freeing you to access all there is to offer in and around Kelowna and BC's Sunny Okanagan Valley during your luxury holiday or business "Time Away from Home" at & Discovery Bay Resort!! Fully Equipped Kitchen with all that's needed to serve your party, TV.s, Full cable service along with High Speed Internet and a DVD Player as well as extra towels and linens, washer and dryer and laundry supplies as well as a gas barbeque on the deck. 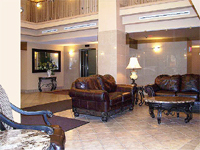 All Amenities provides all amenities such as, coffee, teas and spices as well as staple food items like flour and sugar. 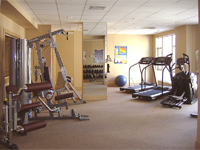 Each unit comes fully supplied with all paper products and soaps, as well as shampoos and conditioners and all linens. 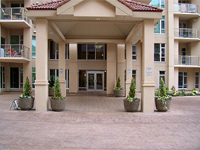 Upon Arrival, Your Unit Upon your arrival you will be greeted by your host and taken to your suite where you will find that a beautiful complimentary gift basket awaits you, containing a bottle of Okanogan red and white wines, as well as lots of snacks to get you started. We will have the fridge stocked with complimentary soft drinks for the children.